New Nonfiction Recommendations | Nonfiction November — TBR, etc. Nonfiction November is winding down and I’m walking away with a ton of new books on my TBR list. Nonfiction is interesting. I find that I end up really enjoying it or abandoning it- I’m really not sure why I didn’t read more before. This month, I started two nonfiction books that I did not finish. I stopped Lady Killers after about 25%. I loved the feminist angle- hey, women can be psychopaths, too!- but the killers presented were from a long time ago and I just wasn’t enjoying it. The other one I quit on was a case of not the right time for the book. JD Vance grew in in the Appalachia and made it out of poverty to become a Yale educated lawyer. A lot of people loved Hillbilly Elegy- from the little I did read it was leaning toward the self congratulatory and if I’m being honest, I didn’t care to spend my time reading about another white dude. (I know. I don’t want to read in an echo chamber, but I’m not quite ready). If I am going to read a story about a person who came over extreme odds to become successful, I’ll read Tara Westover’s memoir, Educated. I finished 2 nonfiction books this month and loved them both. Bad Blood was an incredible. Elizabeth Holmes is one of the youngest unicorn’s Silicon Valley has ever seen. Her company, Theranos, alleged to be able perform over 200 blood tests from just a finger prick… but the technology never worked. John Carreyrou does a fantastic job investigating the story and synthesizing all of the information into an incredible narration. Highly recommend on audio! Speaking of recommended on audio… I’ve spent the last week listening to Becoming by Michelle Obama, and it was exceptional. She has the best speaking voice and I so enjoyed hearing her story, from her childhood on the south side of Chicago, to her time at Harvard Law, to meeting Barack, and their time in the White House. It moved me and I can definitely see myself reading this again. Here are other peoples’ picks from Nonfiction November that made their way to my TBR list! New to my TBR (Hosted by Katie at Doing Dewey) It’s been a month full of amazing nonfiction books! Which ones have made it onto your TBR? Be sure to link back to the original blogger who posted about that book. The Glass Castle, Jeanette Walls | An author’s incredible story about growing up with selfish parents and the siblings that learned to fend for themselves. This is a book that’s been following me around forever, but Allison at Mind Joggle pushed me over the edge. That, and I was recently out at dinner with a friend and she couldn’t believe I haven’t read it yet- and neither could the woman at the table beside us. Message received! 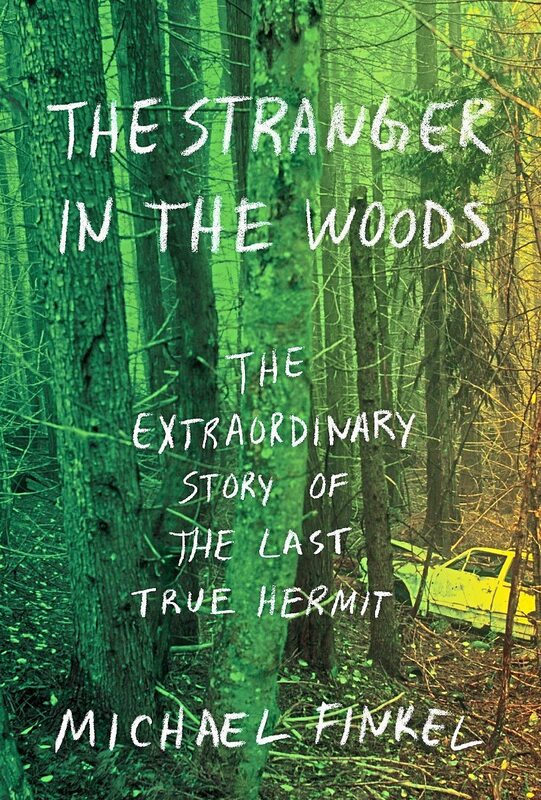 The Stranger in the Woods (on audio), Christopher Knight | A man lives alone in the forest of Maine without talking to another person for 27 years. Sarah at Sarah’s Book Shelves called this one of her favorite audiobooks of all time, so I’m sold. A Beautiful, Terrible Thing, Jen Waite | Another Sarah's Book Shelves recommendation. This is Waite’s memoir about being married to a cheating sociopath, when “that could never happen to me” actually does. 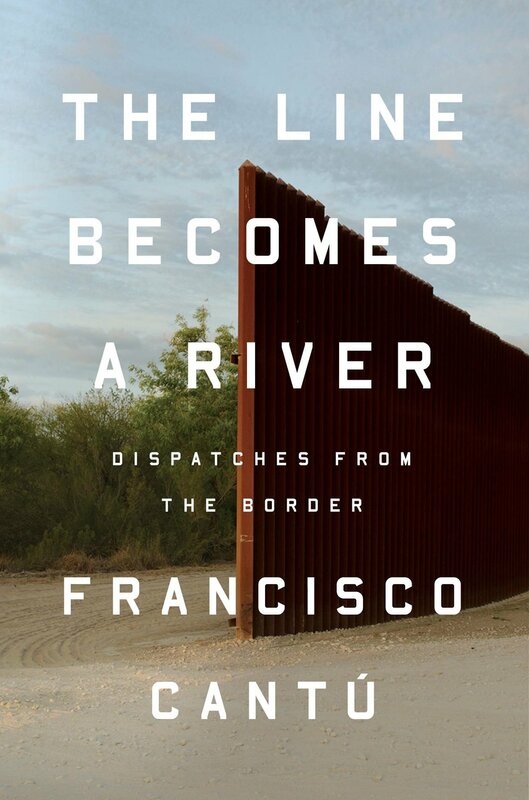 The Line Becomes a River, Francisco Cantu | This book, written by a Mexican ex-border patrol agent, has been on my list because it’s so timely, but Tara from Running n Reading’s review sold me on it. Whoever Fights Monsters: My Twenty Years Tracking Serial Killers for the FBI, Robert Ressler | The subtitle tells you everything you need to know about why it made it on my list. Somehow, I’ve never heard of this! Thanks to Kazen at Always Doing and her Serial Killer Summer for this recommendation! Speaking of books that are so in my wheelhouse I can’t believe I’ve not read them yet: Bloodsworth, by Tim Junkin. It’s the story of Kirk Bloodswood, the first death row inmate exonerated by DNA. Thanks to Dee at Dees Book Blog for the rec! Finally, Maggie O’Farrell’s I Am, I Am, I Am wins the award for the most mentioned (tied with Educated, which was already on my list, and I’ll Be Gone in the Dark, which I’ve already read). Thanks to Sarah's Bookshelves, Bibliobeth, and Reading Beyond for listing! That’s it! I’m delighted to know that #NonfictionNovember is hosted yearly, because I think knowing that it’s a thing will affect my reading next year. Not that I need more recommendations- but I’m excited to see what everyone else added!